If you are thinking of doing a TEFL course, read this warning before choosing which course to do. It is based upon my own research and concerns the explosion of cheap TEFL courses appearing on the internet. Then you can do your own research and make an informed decision about whether or not to do a TEFL certification, and which certificate to do. There are many benefits of doing a TEFL and obtaining this certification will certainly help in your quest to become an English teacher, but I would like to make you aware of the following issues. Some of the more commonly asked questions that I receive about teaching English abroad, concern TEFL courses. People always ask, ‘Should I do a TEFL?‘ or ‘Which TEFL course should I do?’ While there is no perfect answer to this question, I would like to make you aware of the limitations of certain TEFL qualifications in this post. When you can get a discount TEFL certification for less than the cost of a beer (yes this happens), you should be fully aware of the fact that the course (or the method of assessment) must be of a low standard. It simply isn’t financially viable to produce high quality content and assessment for courses that cost $5. Despite this, the budget TEFL (if you will) still has a valuable place in the market for some people. It allows those who don’t want to fork out lots of money to be able to obtain a TEFL certification, increasing their job prospects and their potential salary. Unfortunately it probably doesn’t make them a better teacher and has the potential to lower the standards of English teaching around the world. How is it that these low cost TEFLs have come into the market? Anyone can award a TEFL – literally anyone. The certificate isn’t even worth the paper it is printed on in some cases. I could photoshop myself a certificate from a fictitious company, say the ‘Institute of English Academics Working Overseas,’ and it would be just as valid as any certificate you can pay a thousand dollars for. Courses can be written by anyone, so your pretty (and expensive) certificate, may well have been the result of Bob working in his mother’s shed. Bob might even be fourteen years old. I once contemplated making my own TEFL awarding company and offering people a real service at a realistic cost (of very little) in order to undermine this whole industry of con artists – but I felt I would be perpetuating the problem, rather than addressing it, as I would simply be adding my course to the already too big collection of cheap TEFL courses that don’t offer good value. Instead, I am choosing to address the difference between courses of good content and those that are of a lower standard, then point out that both have their places in the market. Below is an infographic that I made that addresses where the different courses fit into the market, dependent upon the needs of the individual. You should do the quiz if you are thinking of teaching abroad and also read the full article about which teaching certification is right for you as it also suggests specific courses. There are companies who genuinely want to help make you a better teacher, so please research the course that you wish to study and make sure that it fits your needs: Here are my recommendations on which teaching courses you should do, addressing the budget courses and the ‘proper’ ones. If you simply want a TEFL certificate to better your job prospects, it doesn’t matter if you do one of the lower quality, cheaper courses – I just want to make you aware that they are of varying standards and you should, to some extent, expect what you pay for. Ultimately your selection of course comes down to what you want to get out of it. I spent several days obtaining course materials of several of the more popular TEFL courses on offer (from past students) and found some of the courses to be of a very low grade. For example, one $300 course consisted of twelve reading modules, followed by one essay, on which all assessment was made. 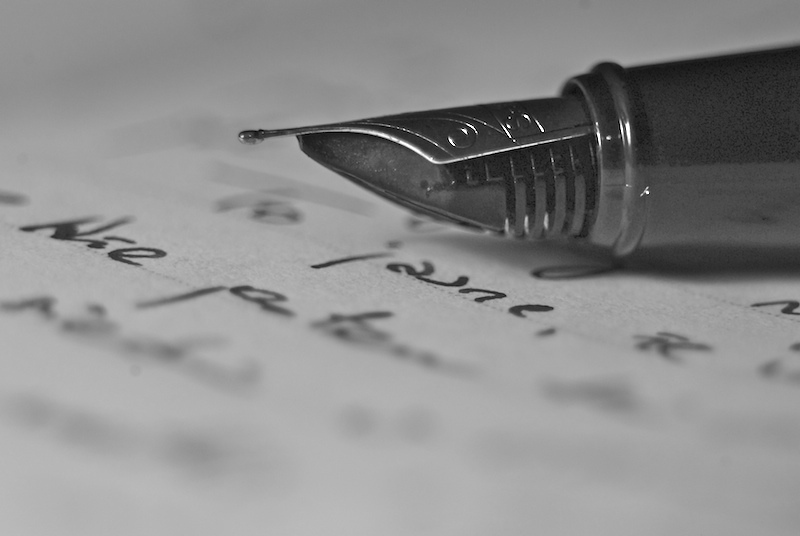 Essentially you get to write one essay and in return, receive a certificate – minus the course fee, of course. If you fail, you get to take the test again until you pass (sometimes remarks are chargeable), thus not only can anyone award a TEFL, anyone can pass one too. The certificate does not make you a good teacher, only you can do that, so think about which TEFL course you do and what you want to get out of it. If a TEFL course says that it is accredited, that doesn’t always mean much (good or bad) as there is no central accrediting organisation, although there are some that are better respected than others. When I researched this issue further, I found that some of ‘accrediting bodies’ were actually owned by the same people who ran the course – I’m talking more about the cheap TEFL courses. This means they are accrediting themselves. That’s like me trying to sell you a piece of junk and telling you it is a valuable piece of art because I am an expert and I told you so. Think about this for a minute – it doesn’t make sense. Do You Need A TEFL To Get A Job Teaching English? If I had a teaching certification I could have earnt an extra $1,300 during my year teaching in Korea which would have been nice, and more than compensated for the cost of the course. At the time I started teaching however, I was at the back end of being a student, volunteering in Uganda, and having fun through a ski season, so I didn’t take the time, or have much money, to do a decent course. Incidentally, I actually needed a teaching qualification to teach in Turkey, but I was ‘accidentally employed’ (I suppose). I started one of the cheap TEFL courses, but found the content to be of such a low quality that I couldn’t bear to continue. Although I got around it easily enough, there are situations where a TEFL is necessary, such as when working for the government in South Korea (a silly visa law) and it may increase your base wage. 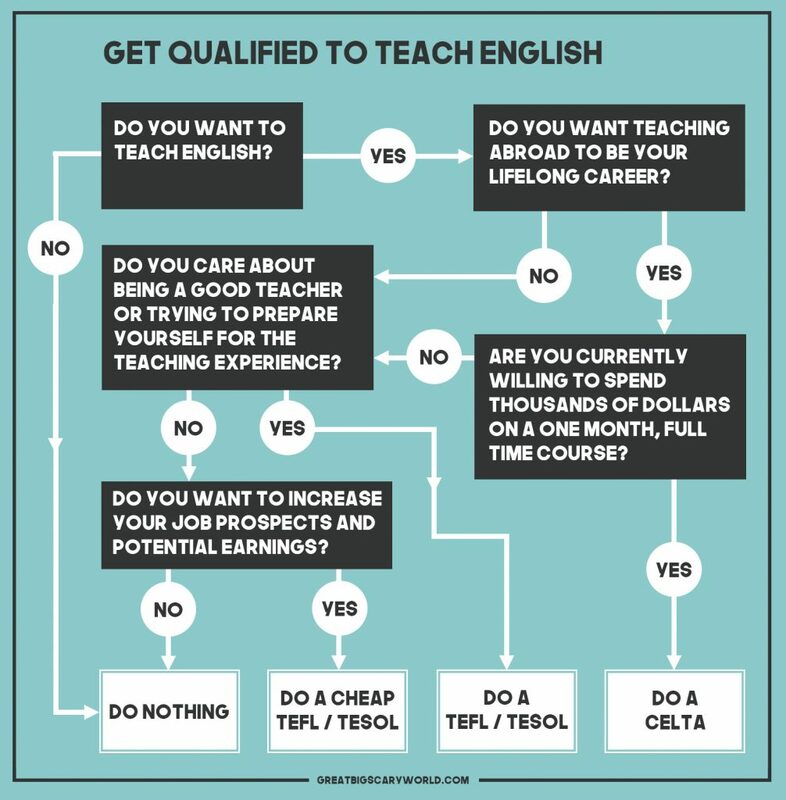 What I’m trying to say is that if you are looking for work as an English teacher, having a TEFL is advisable for multiple reasons, but not necessary. If you are not a native speaker and wish to teach English, a TEFL certification is even more than advisable. Many companies claim that they can guarantee you a job. Maybe they do, but if a job is guaranteed, it might be a job that you don’t want to have. I have heard claims that certain TEFL companies pay schools to take on teachers in some parts of the world, but I have not seen evidence of this myself due to where I have taught. These claims target people who are in unfortunate situations and I think it is a highly unethical practice. A company that says it will help you find a job is a perfectly valid and key element of a good TEFL course, but one that says it guarantees you a job is one to be wary of. Often, you get what you pay for. In this case, I feel you get ripped off from certain courses. Value is concerned with getting something that is worth what you pay. Paying a lot of money is OK if you get good content. However, some on site (in classroom) courses charge $1,000 for the qualification. This seems excessive (bad value) to me although I have never taken one of the courses myself. If I was to spend this kind of money on a teaching certification, I would be looking to do a CELTA or DELTA instead. Read more on CELTAs and TEFLs here. For all the above reasons, I believe that certain TEFLs are dubious. However, I fully believe that they can help you get a job in many countries, even if dubious. A good course however, may also benefit your teaching abilities (if that is what you desire). Doing a certification may be particularly useful for non-native speakers wishing to teach English. Obtaining a TEFL may not only improve your job chances, it may also increase your salary, offsetting the initial cost of obtaining one. However, for most jobs, an online TEFL qualification (minimum 120 hours) is more than enough and much cheaper than one of the courses where you pay to stay and study for a month. 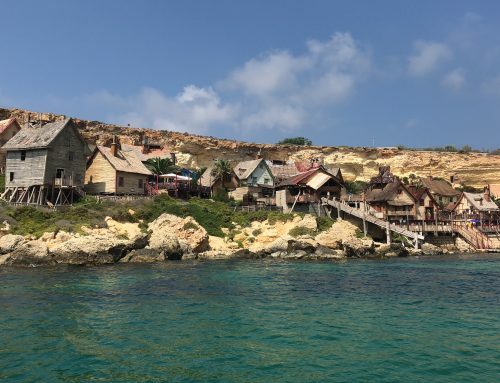 This does vary from country to country as some places have become aware of the issues with cheap TEFL courses and the way they degrade the industry, thus they request certain requirements to be met. If you do one of the cheap TEFL courses, do it to increase your chances of getting a job or to increase your wages. Don’t go expecting miracles or that you will magically learn how to be a teacher because you won’t. If you are more interested in improving your abilities as a teacher, I recommend researching the potential courses that are on offer. Even better, do some volunteer teaching or tutoring to gain experience and really learn how to be a teacher. You should now read ‘Choosing the Teaching Qualification That Is Right For You’. Below are some more useful links. Which TEFL Should I Do? Best of luck in your quest to become an English teacher. I am hesitant to make these observations because I realize how unsettling this subject is, but I wish someone had frankly discussed uncontrollable limitations on TEFL job prospects with me before I invested over $50K in CELTA certification and a MA TESOL. I’m 26 years old, graduated with an honors engineering degree, and 6-months into a job realized I hated engineering. But after the massive investment I’d already made in my education, I didn’t want to spend a ton of money or invest a long time in more training. I’d volunteered to teach ESL classes for a community center near my school so thought TEFL would be the way to go. I did a CELTA program in Chicago, with practicum, over a summer and graduated with special achievement. Then the fun began. I applied all over South Korea, China, and the Middle East–markets that seems to pay well for qualified teachers. What I wasn’t prepared for, however, was being told by the few schools that would answer my direct questions that because I’m black they couldn’t “sell” me. Tough to hear, but I pressed on to the Middle East. They claimed they wouldn’t touch me, despite my CELTA, because I didn’t have a BA in either English or linguistics OR an MA TESOL. This was becoming frustrating. So I returned to the US & finished an intensive MA TESOL in New York while teaching (EFL) at the center’s language school. Now with both a CELTA & MA TESOL, I should be set for a relatively high-paying job in the ME, right? Wrong. I sent off my resume with CELTA and glowing references to FORTY-ONE schools in the ME (& Kurdistan) between June 2016 and September 2017. With the mandatory self-photo–a professional shot I paid a photographer in the US to take that matches the standard ME photography portfolio expectations. With the exception of two schools, none ever got back to me. And those two schools offered me less than $1700/month for full-time work. Other friends who have far less experience than me were offered over $2850/month at the same schools for teaching the same classes. I’ll leave the reader to guess my friends’ salient differences. Any polite inquires to the schools about what I could do to improve my portfolio to be a more competitive candidate have gone unanswered. Sorry for the long post, but I don’t see this being addressed at TEFL or CELTA granting centers. When I asked the CELTA reps and the reps of various TEFL centers I also considered if my race might become a negative factor in teaching abroad, they were UNIVERSALLY both shocked that I’d ask (awkward subject) and positive that with an MIT undergrad degree and years of teaching history (and later an MA TESOL), I’d be more than fine. Only after I invested more than $50K in training did I learn from other people equally well-qualified as me that they, too, had had similar experiences. What bothers me most aren’t the ethical considerations of race prejudice (several ME recruiters from Western countries have been honest with me). It’s that certification can be SOOO expensive for people who have very little as is, and yet based on factors you can’t do anything about (age, appearance, race, gender…) there can still be these pervasive and gargantuan hiring biases that can ecclipse certification–or even formal language degrees. And, of course, the certification centers aren’t talking about this. So be careful. If you’re from the “wrong” communities–too brown, too old (over 30-45, depending on the part of the world), non-native speaker (there are still many biases here), lack an English or linguistics degree (no evidence these degrees make better EFL instructors; evidence is that experience predicts better instruction), have an online degree (ME won’t even consider ANY online degrees or certifications for jobs–and more countries are following)–TEFL/CELTA certification might just be an expensive way to spend a summer. Hello Abraham, I am sorry to hear of your experiences. After spending time in Asia and within the teaching environment I am aware of certain prejudices that make it more difficult, as you say in your post. This is not absolute however and things are changing – it is just that certain parts of the world have had less exposure to people not the same as themselves. When I lived in Korea, two of my best friends were not the ‘typical’ profile – one had Congolese heritage whilst the other had Guyanian / Sri Lankan heritage. They both got on absolutely fine. So don’t give up hope – be positive and keep going for it, and you can get there. Hi, can I ask if TEFL org UK is a serious institution. A friend of mine is interested and is worried about fake centres. They are a well known company and I presume that they are legitimate, but I have never had any interactions with them myself. Try looking on TEFL forums around the web. Thanks for all your info – it’s helped immensely. I’m curious if you are familiar with either The Language House in Prague (a TEFL Certification course) or the Aclipse Program in South Korea? If you know anything about either, I’d love to hear your thoughts. I have heard of Aclipse, but I don’t know anything about them. Never heard of Language House though, sorry. Try asking about both on the forums on TEFL dot com. Where would you recommend to get a TEFL if it is in fact needed? All my research seems to be hopeless as I am just running in circles. I am looking to just teach temporarily and have found this is a difficult topic for me to get straight answers on. Thanks for any input! As far as I am aware, no TEFL is better than another in the eyes of an employer – however the length of the TEFL matters. If I was getting one, I would simply go for the cheapest. Good luck. The length of the TEFL (e.g. no of hours) does matter in some cases – some countries state a minimum of 120 hours for example for the relevant visa. But this is a moot point, anyone can state their course is 120 hours, who verifies this (as per your earlier post). Some countries state TEFL certificates must have 6+ hours of teaching practice. Again this is their attempt at trying to filter out those with dodgy TEFL certificates, but can be worked around. Quite honestly whether your TEFL will be accepted will be down to how professional the certificate looks! Ask any provider to see a sample of this first. 120 hours seems to be the standard accepted minimum around the world – it doesn’t really make sense to less at this moment in time with the current demands of the job market. But yeah, like you say, at the moment it’s hard to figure out which TEFLs are decent and which are just making a quick buck, seeing as the market has become flooded. People can be really racist when it comes to hiring English teachers abroad. The colour of your skin, no matter how much you might value your own self worth would have a huge role to play. Coloured people from third world countries have to work exponentially harder than you to get the same positions you got without qualification.. Most of these people aren’t even considered for these positions. For these people qualification is a minimum requirement. Absolutely. This is again where a qualification is very useful. As each country and school has different visa requirements, it varies wherever you look. I hope that in the future, teachers will be assessed purely on their English skills and not on their passport or what they look like. I did a 3-week on-site TESOL course in Phuket a little while back. Maybe I’m just an optimist, but it was worth the money. Not only is having TESOL a requirement to legally work in Thailand, but, since I’d never even been to Asia before, I wasn’t sure how to find work, so the security of guaranteed job placement with fair wage certainly wasn’t unattractive. I was a baby in need of coddling, and I was coddled, for a fee. I was afraid, but not so afraid that my fear extended to the farthest reaches of our planet. Plus, I gained a ton of friends from the experience. From a selfish blogger’s standpoint–having written a review of my course experience–I’ve gained a surprising number of readers who were also interested in and searching for reviews of the same or similar courses online. So bleh! That’s where a qualification really comes in useful. My qualms with them is how much they charge people for what they offer. For people who want that security when going to a new place far from home (which is quite understandable), I am glad they exist to help people on their way. Thank you so much for this post Jamie, this is exactly what I needed to confirm all of my suspicions. I have been researching this thoroughly as well for the past two months and at first I was very excited because it all seemed pretty straight-forward and easy, but then I started reading more and found out that all that glittered wasn’t gold and got a bit bummed out and scared. There’s no real honest information out there on what to do or which one to take, there are even fake paid-for blogs to speak wonders for those TEFL courses out there, so that when you do your research for that academy you’ll see that people say it’s good, but some of them pay for those blogs/reviews. So I hope this post will solve that from now on. From what I’ve researched, I’ve come to the same conclusions. There are some countries where a TEFL is required, even for getting the VISA, or it just is a big advantage when getting a better job. However, for **English native speakers** it doesn’t seem like a certification is really necessary, unless you want to aspire to teach in the UAE and Gulf countries, where a higher certification (such as DELTA, which can only be obtained after having taught for 2 years or so and completed the expensive Cambridge course) is required. So if you’re a Native speaker and you plan to teach abroad as a temporary thing or a hobby, then you probably won’t need a certification. Or maybe just get one of those affordable ones that you have found it’s recommended on blogs about people who have previously taught abroad, so as to have that piece of paper that would allow you to be considered for every country in the world. If you however plan to change career paths or start one in this field, you should then just go for the most popularly recognized certification, which as far as I know is the CELTA awarded by the Cambridge University. However, if you’re a **Non-native English speaker**, things change. This would also be a good place to say that the only thing this post is missing is advice for Non-native speakers, like myself, for whom there’s even less information out there, but naturally this is an even more uncharted territory for Jamie since luckily it’s not his case, so it is understandable that this point might not have been addressed in his post. I’m speaking here just from research and not from experience: I think non-native speakers might need a bit more to convince a school/academy to hire us over a native-speaker, thus a CELTA might be the best choice for us, since it’s a strong certification. I even have an English teacher here in Berlin who’s from the UK and she had a hard time getting a job in Berlin until she got her CELTA, which she did in Barcelona. And actually as just said, the CELTA can also be taken anywhere in the world and is most of the time cheaper abroad. Plus, you get to be in the country you’d like to teach and start hands-on on the job search while being there; And and those schools would actually try to help you find a job since they’re true institutions backed-up by the Cambridge University. Maybe I’m extending this too much, I should write a blog entry about it then :P, so as to not take a whole page here on the comments section. Anyways, thank you Jamie again for taking the time to write this and clarify a few things on this con-world that the TEFL has become, I think this will help clear out many of our questions and concerns, and hopefully push us back into considering teaching abroad. It is very hard to get through the wealth of information out there because – as you say – much of the content written about TEFLs is sneakily written by TEFL companies. I agree with you about the CELTA – that is the proper way to go if you want a career in teaching English. It is a shame that some countries request TEFLs at all though – for example, in South East Asia, many countries will not give you a job without a TEFL – despite the fact that they mean nothing. This is because TEFLs are so misunderstood. So despite being a con, they are helpful. What you say about qualifications for non-native speakers is very interesting. I wanted to add something about this, but as you point out, it is something I know little about so didn’t want to offer bad advice. I can however, see how any form of qualification would be massively beneficial for a non-native speaker.